We’ve all seen that real life Fruit Ninja video from a couple years back. But now, Pillsbury is taking things to another level to tout their Toaster Strudel. 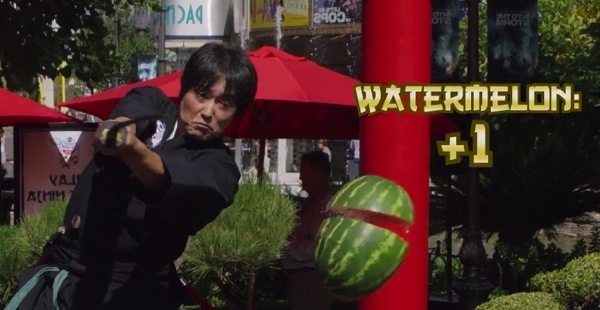 They hired world-renowned Japanese swordsman, Isao Machii, flew him to L.A. to slice up some fruit and show us all how it’s done. This is probably how we would all imagine Fruit Ninja to be in real life, right? I wonder how much Machii got paid, or if he accepted a lifetime supply of Toaster Strudels instead. Actually, I shouldn’t say that as I wouldn’t want to make him angry. This modern samurai can slice a BB pellet travelling at 350km/hr in half! Click here to download Fruit Ninja in the App Store–despite being a classic iOS game that’s over four years old, it is still is receiving updates from Halfbrick Studios.